Pedro Cortés, who led Pennsylvania’s groundbreaking electronic notarization initiative in 2006, was re-appointed for a new term as Secretary of the Commonwealth last month after a four-year hiatus. 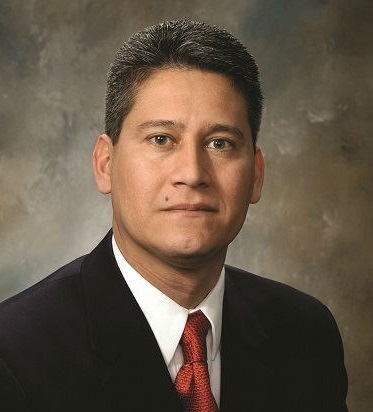 Cortés is the longest serving Secretary of the Commonwealth in Pennsylvania, having previously held the position from 2003 to 2010. Under his leadership, Pennsylvania implemented the first statewide program in the U.S. enabling Notaries to sign and notarize electronic documents. In honor of his pioneering efforts to advance the role of Notaries in electronic commerce, Cortés received the NNA’s March Fong Eu Achievement Award in 2007. “It was a significant milestone … an important step to open doors for all electronic Notary transactions,” Cortés said after receiving the award in 2007. Before serving as Secretary of the Commonwealth, Cortés previously served as executive director of the Governor’s Advisory Commission on Latino Affairs (GACLA) from 2000 to 2003 and as assistant counsel to the State Civil Service Commission. Cortés’ leadership extended far beyond the state. He was the first Pennsylvanian to become president of the National Association of Secretaries of State in the association’s 104-year history. Pennsylvania Governor Tom Wolf praised Cortés for his previous achievements as Secretary of the Commonwealth when he announced the appointment January 28. “Pedro vastly improved operations at the Department of State during his previous tenure. His experience will help me enhance the democratic process and ensure Pennsylvanians can better exercise their right to vote and expediently file business documents,” Wolf said.